"The first modular PDF application. Use what you want, then pay for what you keep." The silliest thing in the world is paying for things that you don’t use. Which is why, as of late, the world is moving modular. First modular smartphones and now modular PDF applications. Under the hood, Soda PDF is like any other PDF application. 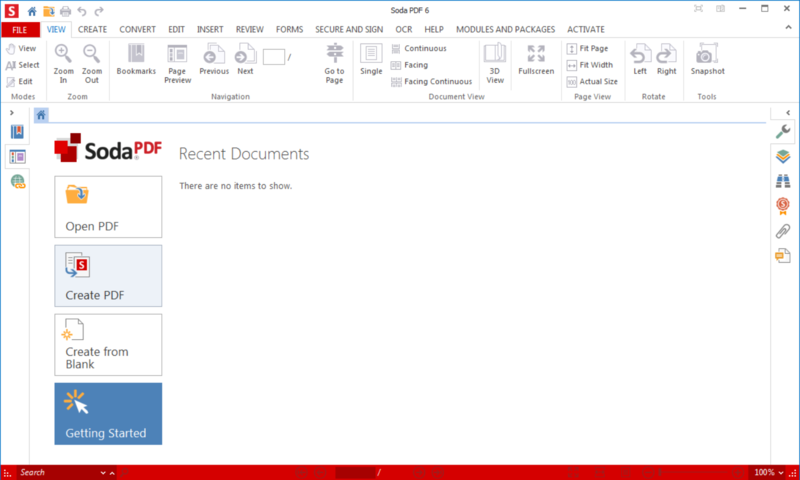 You can view and open PDF files, create PDF files, edit them, etc. You know the drill. But what’s different about Soda PDF is not only the fact that it does it better than other PDF applications, nor the fact that it looks better than even some of the most popular PDF applications – I’m looking at you Adobe. The design of the application looks like it was heavily inspired by Microsoft Office 2013. The menu’s look almost exactly the same. But Soda PDF has something that no other PDF program has been able to match yet; it’s modular. That means you get to choose what you want to use and do away with the parts that you aren’t going to use. Because this application is only a free trial this means that you can try it all for a limited time and then pay for what you want to keep saving you a lot of money to be put into other modular things, like modular smartphones.